Alberos, or Eric for short, is responsible for the excellent Lord of the Rings Online podcast, LOTROCast. Here he discusses his background in gaming, what he enjoys about podcasting and the LotRO community, and a personal tragedy that recently struck his family. For those who don’t know, would you mind explaining what LOTROCast is, how you happened to get involved with it, and what you’re now trying to achieve with it? LOTROCast is a Lord of the Rings Online themed podcast. I typically cover LOTRO and LOTR themed news, talk about what I’ve done in game and then focus on one or two LOTRO themed topics. I try to put out an episode every 2 weeks. In between episodes I write a blog which, while hosted on the my.lotro website, tends to be about MMO topics in general. As part of LOTROCast I will do the occasional LORECast which focuses on the history and lore behind the game. I’m currently working on a series of LORECasts about the races of Middle-earth. So, what is it about Lord of the Rings Online (LotRO) that sets it apart from the countless other MMOs out there and has you blogging and podcasting quite enthusiastically about it? 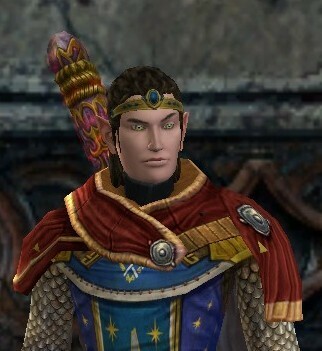 I think what really excites me about LOTRO is the storyline and the graphics. The gameplay (controls, combat, skill systems) really isn’t much different from what you see in games like WoW or City of Heroes or others. However the storyline, and how Turbine has written around the established story, is really captivating. Unlike some of the Playstation or Xbox games that came out when the LOTR movies were first released, in LOTRO you don’t play as a member of the Fellowship. You play as a member of the Free Peoples (Freeps for short) and your questing takes you to places only alluded to in Tolkien’s writing. You will occasionally cross paths with the Fellowship, especially once you reach Rivendell, but you are really living your own part of the story. In addition, the game is very visually appealing. The Shire, where the Hobbits live, is stunning and looks like it was pulled right out of the movies. The designers really spent a lot of time giving each zone its own look and feel. I don’t think any other game I’ve played inspires the kind of enthusiasm or dislike for specific areas that LOTRO does. 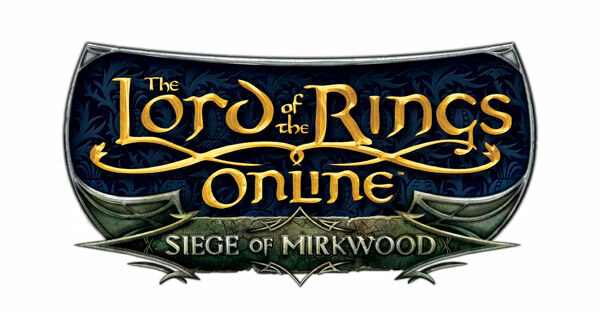 Was LotRO your first MMO? If not, what was and what was that experience like? I think there were two distinct moments that stick out in my mind. The first was the first time I leveled in WoW. I had rolled a Dwarf Paladin and was in the Dwarf starting area killing mobs when suddenly this light explodes around my toon and the level sound went off…I was hooked. I think the other “wow” moment was a PvP experience I had in WoW. I was in Strangle Thorn Vale with my elven hunter when I stumbled across a Horde Druid named Naturelord. He and I spent probably an hour killing each other. Sometimes I’d get the drop on him and the next time he’d get me. It was incredibly fun and really brought the excitement of facing off against a real person. What happens to be your gaming background? Like I said I am a long time gamer. Like most I started with D&D and then branched out to other pen & paper games like Star Trek, Shadow Run, Amber, Heroes Unlimited. I also played some Magic: The Gathering, but wasn’t really that into it. I also played a lot of Risk and Warhammer. My gaming then jumped into computers. I really enjoyed some of the original D&D games like Pool of Radiance and the Ice Wind Dale Trilogy. Right before I started playing WoW and LOTRO, I was playing the Never Winter Nights series and Elder Scrolls III: Morrowind. I really liked that first person perspective and that sparked my interest in trying MMOs. Yes, on the PC I am a big Total War fan. I really enjoy playing Rome Total War and Medieval Total War. I also played the Battle for Middle Earth games. I also like First Person Shooters on the X-Box. Currently I am playing Halo Reach and Modern Warfare 2. For MMOs I’m splitting time between LOTRO, WoW and City of Heroes. LOTROs my main game, but I’ve got friends on WoW and COH so I have a night where that’s what I’m playing. In short bursts, I play Halo Reach and Modern Warfare 2 on the X-Box. I’ll also admit I’m currently playing Star Wars Legos. It’s a cute game and doesn’t require a whole lot of brain power. Would you mind sharing a particularly enjoyable gaming experience from your past? That’s a hard one. I’ve had lots of great experiences. I think what I’ve enjoyed the most is the camaraderie that you get with games like LOTRO and WoW as well as pen and paper games. I remember many nights getting together to play D&D and ended up just hanging out with friends, drinking beer and goofing around. Similarly when playing some of the MMOs with my real life friends, well get on and run an instance, but we’ll have more fun talking about what we’re drinking, complaining about work and making “That’s what she said” jokes. Do you see blogging and podcasting as just a hobby or perhaps something more? Right now its just a hobby. I really enjoy LOTRO and the world of MMOs in general. I think the communities that develop around the games are really interesting and I like being an active member of the community. Plus, as you can probably tell from my lengthy answers, I like sharing my experiences and thoughts on stuff. What do you find particularly pleasurable about blogging and podcasting? I think it’s the connection to the community. There are a lot of LOTRO podcasters and bloggers and we’re all supportive of one another. Merric and Goldenstar at Casual Stroll to Mordor gave me some great advice when I took LOTROCast over from Moormur. Lunna the Burg was in the Amistad Del Otro kinship on Arkenstone and I’ll post links to her videos on the blog so others can see her great work. It’s a really good environment. Are you pleased with what you’ve achieved so far with LOTROCast? For the most part. I think the format of the show is solid and I think people enjoy it. I’d like to do a better job of polishing the show. I need to work on bumpers between segments and slowing down how fast I talk. I’d also like to keep the website fresh with a redesign every 3-4 months, but that gets hard with all the things going on in real life. I’d also like to get more listener interaction. Either with more show note comments or better yet, recorded segments. I’d love to have a Crafting segment or a PvMP segment or something like that. Maybe a tip of the week type thing. If you had a chance to do it all over again, would you do anything different? I probably would have taken a more active role in the community earlier. I’ve been playing MMOs for over four years but only podcasting and blogging for the last year and a half. I can certainly understand you not wanting to talk about this, but on a recent podcast you mentioned a personal tragedy your family experienced this past summer. Would you care to talk about it here? Sure. My wife of 13 years passed away from Lung Cancer this past summer. My wife battled this terrible disease for 3 and a half years before she died. She wasn’t a smoker and she didn’t grow up around smokers, so the diagnosis was a complete surprise. We went through multiple rounds of chemo and radiation, but Lung Cancer is one of the most aggressive and lethal types. She passed away peacefully at the hospital surrounded by family. The LOTRO community, as well as all my real life friends and family, were very supportive following her death. Many of my listeners and those in the community wanted to help so I have links to the American Lung Association on the website so they could donate to fight this terrible disease. Again, I’m very sorry to hear this. You have my condolences. Is there anything else you’d like to leave us with? Now’s your chance. First, thank you for the interview. It was a lot of fun looking back over my gaming history. I’d also like to thank my listeners and the LOTRO community for being so supportive. For those who’d like to start listening you can find LOTROCast on iTunes, the Zune Market Place or at www.cyberears.com. You can also visit the show website at www.lotrocast.com and follow me on twitter @lotrocast. You can send me emails at thelotrocast@gmail.com . Thank you, Alberos. Best of luck with the podcast and other future endeavors. This entry was posted on February 11, 2011 at 9:10 pm	and is filed under Uncategorized. 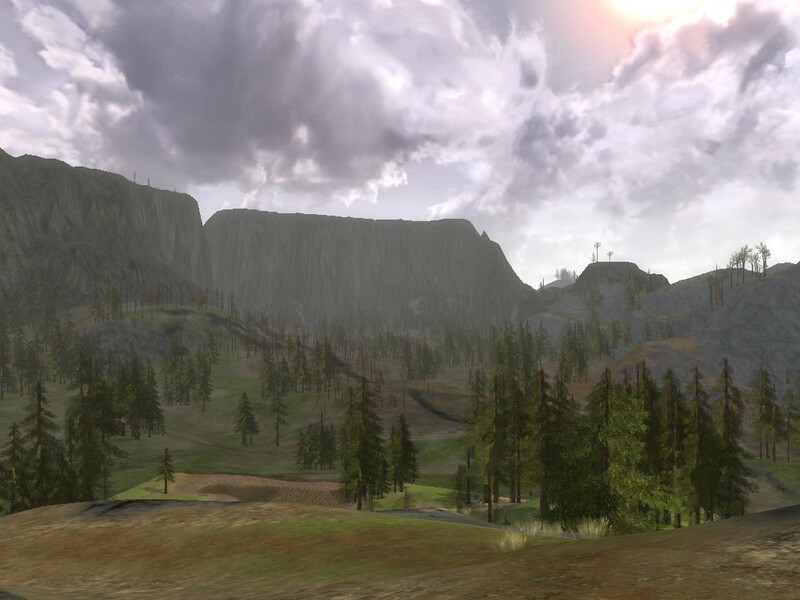 Tagged: Alberos, Lord of the Rings Online, One shot interview, Podcasting. You can follow any responses to this entry through the RSS 2.0 feed. You can leave a response, or trackback from your own site. Thanks again for the interview. It was a great experience.